Harvest when approximately 50% of the flowers are open. 36-41 F, in water for short time. 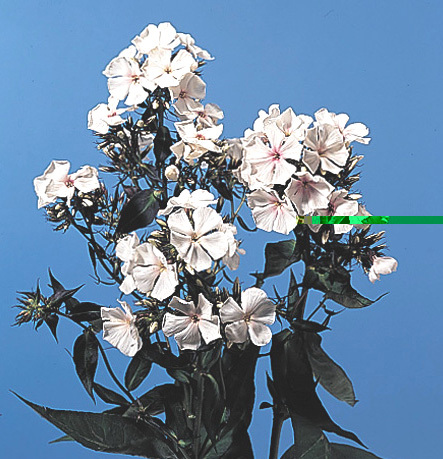 Phlox: Greek meaning flame, originally applied to the species Lychnis. The specific epithet name paniculata refers to the form of inflorescence. Regarding bare-root stock storage of this species at 29F for 4-6 months, Maqbool and Cameron (1994) report that the best survival and regrowth results were obtained by those stocks that lost the least amount of water during this period.